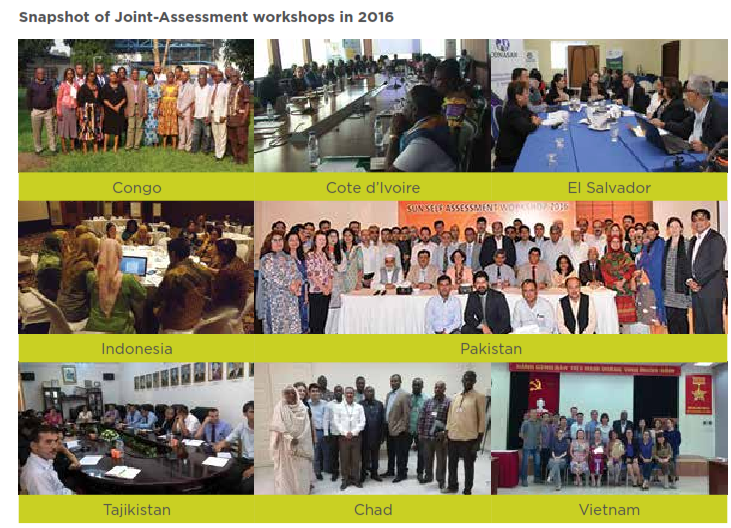 The Joint-Assessment: Celebrating progress and setting priorities! The Joint-Assessment, which takes place annually, is a unique feature of the SUN Movement. This important exercise gives the opportunity for nutrition stakeholders in SUN countries to come together, reflect on progress and bottlenecks and identify where support is needed to realise joint goals, at the country and sub-national level. It also serves as a moment to set country priorities for scaling up nutrition for the year ahead. This invaluable intel guides the SUN Movement Secretariat and Networks to provide the support needed, and is essential for the stewardship bodies of the Movement – including its Executive Committee and Lead Group – to ascertain how to best ensure lasting human impact, at scale. First rolled out in 2015, the exercise is a participatory process of self-reflection that brings together relevant in-country stakeholders working to scale up nutrition, including representatives from government, civil society, science and academia, donors, the United Nations, businesses, and other relevant actors. The 2019 Joint-Assessment will take place between April and August and will, for the first time, make use of an online reporting system. 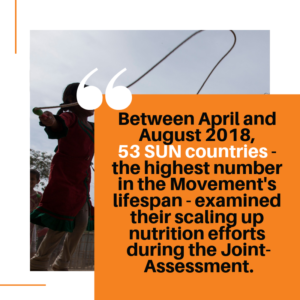 The SUN Movement Secretariat, on behalf of the SUN Movement Lead Group, worked with MDF Training and Consultancy to develop a practical approach for monitoring the progress and effectiveness of the SUN Movement. As a result, the SUN Movement Monitoring and Evaluation (M&E) Framework was developed in 2013. 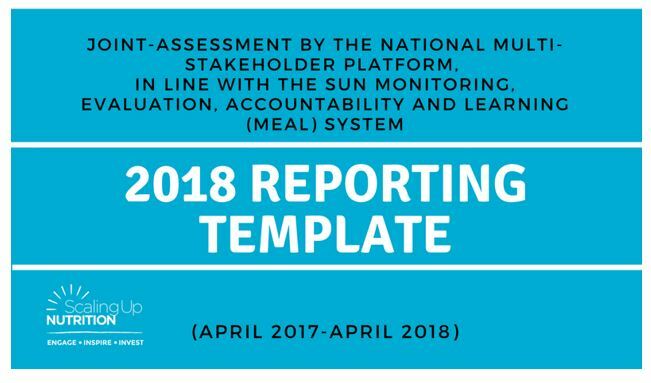 It encompassed the means of assessing the institutional transformation and actions towards scaling up nutrition across four processes to achieve the four strategic objectives outlined in the SUN Movement Strategy and the revised SUN Road Map. 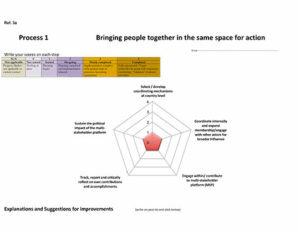 The M&E Framework provided a clear means of evaluating progress in each of the processes. An Outcome Mapping methodology is employed, structured around the four processes (in pursuit of four strategic objectives) as reflected in the SUN Movement Strategy 2012 – 2015. The Outcome Mapping approach looks at how the behaviour of actors at country level (i.e. government and country networks) is changing within the context of the four processes using “ladders of change”. These ladders are made up of a set of progress markers that illustrate progressive behaviour that is expected to be displayed by the various actors. The SUN Movement Self-Assessment Exercise was conducted Movement-wide for the first time in 2014. SUN Countries and global Networks had the opportunity to undertake the self-assessment exercise in order to give a snapshot of progress and state of institutional transformations for scaling up nutrition. The reporting mechanism ensured consistency in demonstrating progress and at the same time, illustrated the progressive behaviour changes displayed across the Movement. 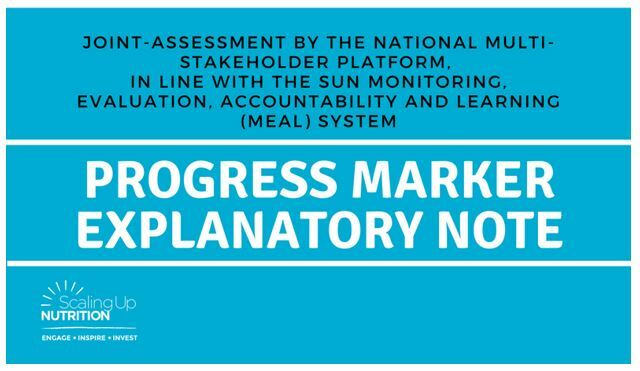 Chapter 2.7 of the SUN Movement Independent Comprehensive Evaluation analysed the SUN Movement’s approach to M&E and accountability.